When specifically does the August project begin, and how long will it run for? The program this year is officially from August 1st - 31st. We will have formal presentations on Friday August 23rd in Houston, TX. We hope to livestream the presentations and also upload them online afterwards via the RepRap blog. I will note that all of the fellows are so amped for this event that many of them have working prototypes already done. If successful this year we hope to extend AMRI fellowships to run the entire summer in future years. Will the initial program consist of the fellows, or are there others students involved that the fellows work with? The four fellows this year will draw inspiration and advice from many sources in our state-of-the-art research facility at Rice University. There will be undergraduate and graduate students around that will inform many of their research directions. Most of the fellows have little-to-no recent training in Biology but have a lot of know-how on the "Maker" side. So the vision is to get them together interacting with experts in the field to help focus their goals on fundamental research questions that they and our resident scientists are after. On the flip-side, many of our best bioengineering students have little to no exposure or experience with what is commonly done in the Maker-movement. So I expect there to be great interactions within our labs. I have noticed this potential synergy extensively by bouncing back and forth between makerspaces and research labs. Each side has a phenomenal amount they can learn from each other. We aim to formally bring them together with AMRI. Zach "Hoeken" Smith, co-founder of MakerBot and a RepRap Core Developer, has agreed to serve on the advisory board. Josef Prusa, another RepRap Core Developer, will also be available in person towards the end of August to help provide additional guidance. We are still framing things. Things are in flux. This is a good thing. We are open to constructive criticism. As part of the mission of AMRI Rice, the Fellows will also take part in a 4-day Advances in Tissue Engineering Short Course where they will receive a 32-hr crash-course in all the very latest in tissue engineering research from thought leaders from around the world. This ATE short course is described here. Within their research project, do AMRI Fellows have specific goals they're trying to achieve within that timeframe? B) Quantify and Qualify -- What are the equipment specifications? Under what conditions can it operate? With what materials? What are the relevant tolerances that can be expected? Next -- measure them. Were they accurately predicted? How closely did they match up? Are we still on budget target? A redesign may be required depending on how far out of specification the equipment has become. C) Document and Deploy -- A key component of any project, and one that too often gets overlooked, is the documentation for that equipment and sufficient details and instruction for others to deploy or repurpose the equipment completely independent. Documentation and deployment will be key components throughout all of AMRI. 2) If engineering design phase is completed and a working prototype has been made, the remaining time can be used to explore a specific scientific question. For Laser-sintering the focus is on 3D printed carbohydrate glass for vascularized living engineered tissues. For DLP photolithography we will be encapsulating living mammalian cells and assessing their viability. For the bacterial ink-jet printer and the bacterial cell-struder we will be looking at cell-cell interactions and tuning complex multicellular behaviors. Scientific findings take much longer to investigate and verify because of the complexity of working with living cells, but we may get a glimpse of some exciting future directions with the work of these outstanding fellows. Will they be given a research lab? What type of equipment will they have access to? AMRI fellows have access to nearly 1000 sq. ft. in our state of the art BRC research facility at Rice that will be setup for AMRI fellows for August. The fellows will have access to whatever equipment and mentors they need. 3D Printers, electronics and soldering workstations, laser cutters, milling machines, and most importantly, a healthy research budget. JOIN IN THE DISCUSSION: Join the mailing list. You can see how some of the projects are shaping up, vet this idea with us, provide feedback. 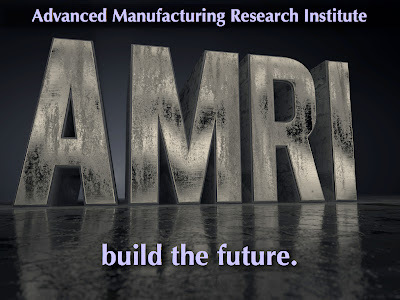 DONATE: You can donate tax-deductible funds directly to AMRI through Rice University's 501c3 here. STAY TUNED: AMRI final presentations (5 min each) will commence on Friday August 23rd. We hope to broadcast them live and take questions via the Internet. What's wrong with the end goal of making profit? You are providing value. Why not be rewarded for it? Hi Jordan! Great initiative! I'll try to follow these fascinating developments as much as possible. Actually, each of them is interesting. There's so much great stuff going on in this space. Also nice to see we're on the sponsor list, I haven't even asked for that or been asked. Glad to see important values becoming more and more embedded into Ultimaker.